Membership is the Tallahassee Builders Association of any association and we because of the dedication of the Membership Committee we are able to recruit and retain our current membership. 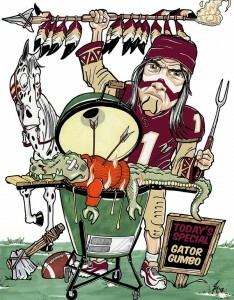 Not been involved in a membership drive…then you missed our second Challenge brought on from our Rivals down south in Gator Country (BA of North Central Florida) for a GATORS vs. NOLES Membership Drive. This year we started with a March countdown for members that ended this fall and WE WON! GO NOLES! Last year they challenged us and sent us a message and we responded but lost the challenge. Want to learn more view the 2016 messages and get in the spirit to BUILD MEMBERSHIP annually for our association. Your TBA Membership is a Three-in-One! Once you join the Tallahassee Builders Association (TBA), you also become a member of the Florida Home Builders Association (FHBA) and the National Association of Home Builders (NAHB). As part of this network, you gain access to a wide range of information, activities and services that will contribute to the success of your business. TBA offers member discounts on Lunch n Learn Educational seminars, NAHB Wednesday Webinars, and Professional Development courses, TBA Weekly E-News advertising, Parade of Homes entry fees, etc. With your membership you also receive discounts through Member to Member offers with the FHBA and NAHB affinity programs. Karen Koelemij, CAPS, Orange State Construction, Inc. Fill out our Online Membership Application or Download a Membership Application today and start your journey to build lasting business relationships.